Earlier this week CapeRay attended an Innovation Showcase organized by Von Seidels, our patent attorneys, a stimulating evening during which we celebrated the success stories of local companies. A common thread connecting the 11 companies was their location — the Western Cape — and that quite a few had spun out from two local institutions, the Universities of Cape Town and Stellenbosch. One of these spinout firms is the Stellenbosch Nanofiber Company (SNC), which has developed innovative technologies for high-throughput electrospinning of polymeric nanofibres. Richard Feynman, the originator of nanotechnology. Nanotechnology — one of the scientific buzzwords that has come to prominence in the past decade — refers to science and engineering conducted at the nanoscale, that is between 1 and 100 nanometres. A nanometre is one billionth of a metre, with a sheet of newspaper being about 100,000 nanometres thick. On a comparative scale, if a marble were a nanometre, then one metre would be the diameter of the earth. Nanotechnology thus focuses on extremely small things and can be applied across many scientific fields, including chemistry, physics, engineering, materials science, biology and medicine. Click here for an interesting story about carbon nanotubes. The ideas behind nanotechnology have their origin in a talk given by the Nobel Laureate, Richard Feynman, entitled, “There’s Plenty of Room at the Bottom,” on 29 December 1959. He envisioned a process in which scientists would be able to manipulate individual atoms and molecules, thereby engineering products at the nanoscale. In the case of SNC from Stellenbosch, they have invented a bubble electrospray process that enables them to manufacture large quantities of aligned nanofibres, including a novel antimicrobial polymer compound with great potential in healthcare. The SentiMag probe locates a sentinel node. Copyright Endomagnetics. 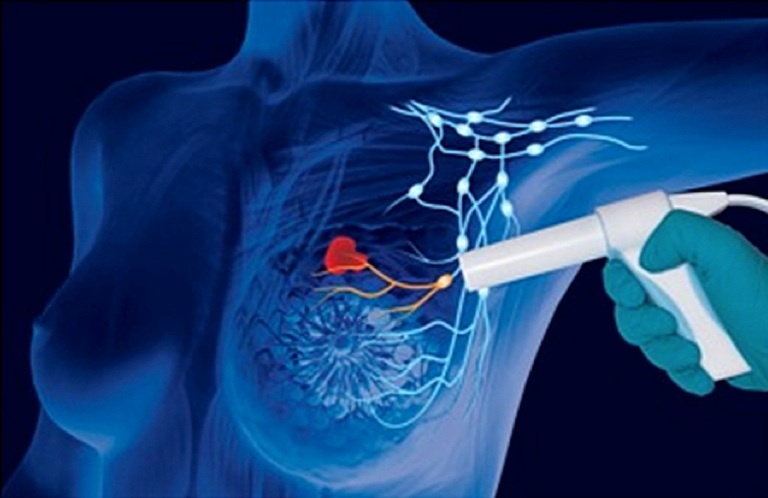 Endomagnetics is a UK startup that has developed a novel product to detect breast cancer: a solution of nanoparticles, coated with iron oxide, is injected into a woman’s bloodstream and becomes trapped in the sentinel lymph nodes, thus enabling the clinician to use the SentiMag probe for guiding a biopsy needle. On the treatment side, a Pennsylvania-based company, Keystone Nano, has developed NanoLiposomes — closed structures surrounded by an aqueous space — that have been used to deliver chemotherapeutic drugs to breast cancer cells, and the results appear promising. 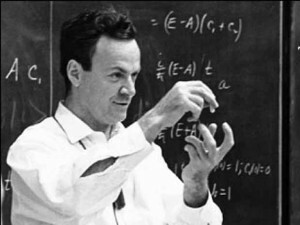 In his famous lecture Feynman asked, “Why cannot we write the entire 24 volumes of the Encyclopaedia Britannica on the head of a pin?” He would be delighted to know that 54 years later, scientists and engineers are using his ideas to solve a myriad of problems, including the diagnosis and treatment of breast cancer.